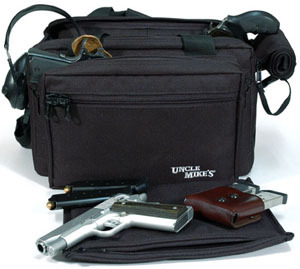 If the need was for a bag to pack to your gear to the range, I thought this one would be decent. It’s roomy, but not too terribly big, and seemed sturdy enough to handle the duty. I particularly liked the heavy feel of the bag’s construction. It’s also reasonably priced at about $45 at most places. I liked it a lot. I really did. 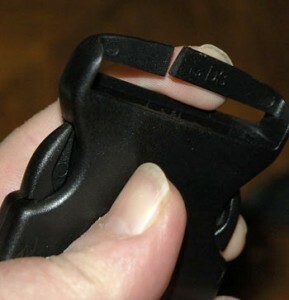 Then, on the way home from the range, the quick release buckle that attaches the shoulder strap to the bag gave way. This was on the fourth usage of the bag; it’s not old and fatigued. At the time of the failure, the bag contained a Combat Commander, an S&W Model 60, one box of ammunition, two hearing protectors, and some odds and ends – nothing close to what should be a failure inducing load. ‘Nuff said.